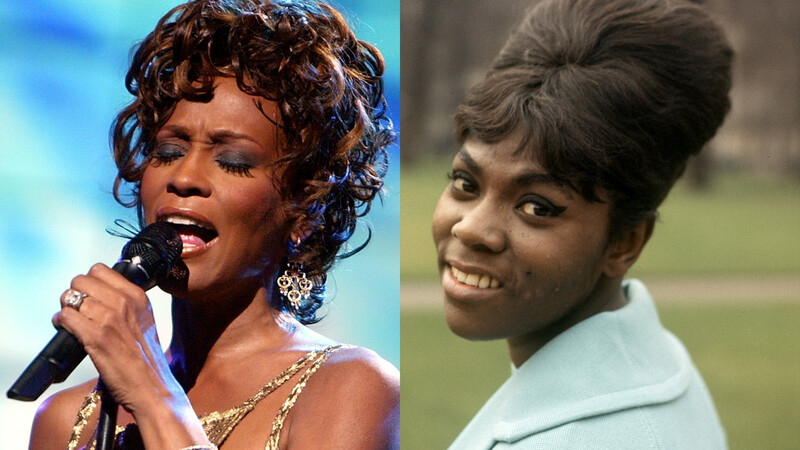 A new film about Whitney Houston has alleged that her cousin Dee Dee Warwick sexually abused her. Whitney Houston's half-brother Gary Garland-Houston and her assistant, Mary Jones both made the claims against Warwick, who died in 2008. Dee Dee Warwick was the younger sister of soul icon Dionne Warwick, and was also the niece of Houston's mother. She had a successful career as a soul singer back in the 1960s and 70s. Whitney debuted at the Cannes Film Festival on Wednesday (May 16). According to the film, Houston never told her mother about the alleged abuse, The Times reports. The newspaper says that in the film, Garland-Houston says he had also been sexually abused "by a female relative" between the ages of seven and nine but does not identify her. Jones then says that Houston had told her: "Mary, I was [abused] too. It was a woman." When asked if Houston had named the person, replied: "It was Dee Dee Warwick." Whitney will be a new documentary about the life and career of the iconic singer, and will be released in the summer. Directed by Scottish filmmaker Kevin Macdonald, the film will feature several unseen clips and live performances. It is also the first film about the late pop icon that has been approved by Houston's estate.